ARM-based CPUs found in phones, tablets and even Qualcomm-powered Windows 10 machines typically use this type of design to great effect for maximizing battery life and even performance. Now, it seems we're starting to see the beginnings of hybridization in computer processors now – at least in Intel's case with LakeField. By packing in both performance cores and low energy cores into the same chip, hybrid processors could allow your devices to handle all your tasks on demand and save battery life when they’re just on standby. 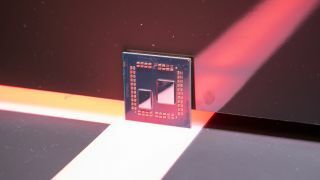 What's more, chips with this type of architecture can act as compact systems on a chip if they also have integrated graphics, memory and other modules.